Assaha Hotel Lebanon, last updated on 8 October 2017 , is listed under Hotels category. It was added to Lebanon Directory Rinnoo.net on 26 March 2017 . 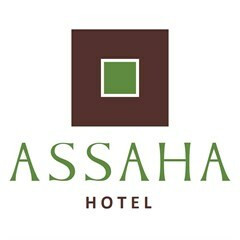 Pages of Assaha Hotel Lebanon on Rinnoo.net have achieved 4,159 views till now. Located less than 4 km from Rafic Hariri Airport, its design looks like an authentic Lebanese village. Traditional craft shops, a butcher and restaurants are set around the central square. Each room's décor is unique and reflects different civilizations. All of them include balconies, minibars and flat-screen TVs with satellite channels. Guests can enjoy the sun on Assaha Hotel's terrace, or take a walk in the palm garden. The hotel has a library and a playground for younger guests. Beirut’s city centre is a 15-minute drive from Assaha Hotel.